We’ll expect the user to reply with a number between 1 and 10. To check this, we’ll drag a Split Based On... widget onto the canvas. 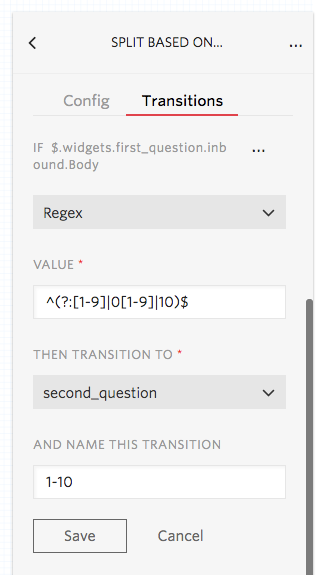 First, we’ll set the variable to test in the right sidebar. 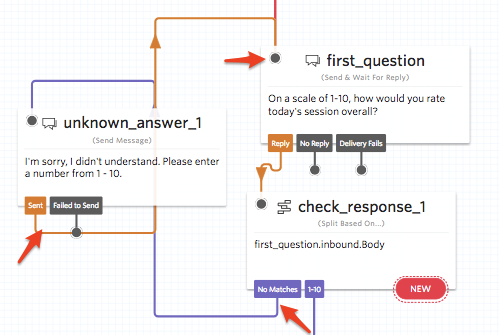 Find the Send & Wait For Reply widget in the dropdown (in this example, it’s called first_question), and select inbound.Body from the list to capture the reply to your prompt. Next, we’ll need to declare the choices we’re looking for in the user’s responses -- numbers between 1 and 10. Tap the red New at the bottom of the Split widget to reveal the Transition On... dropdown menu. 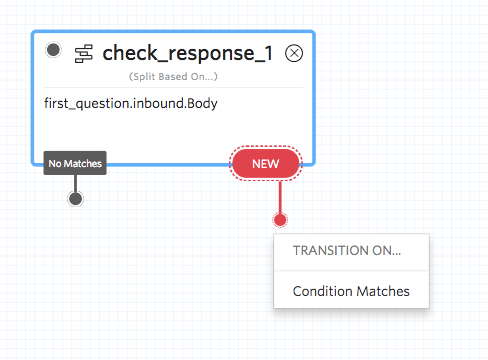 Select Condition Matches to create a new Transition. 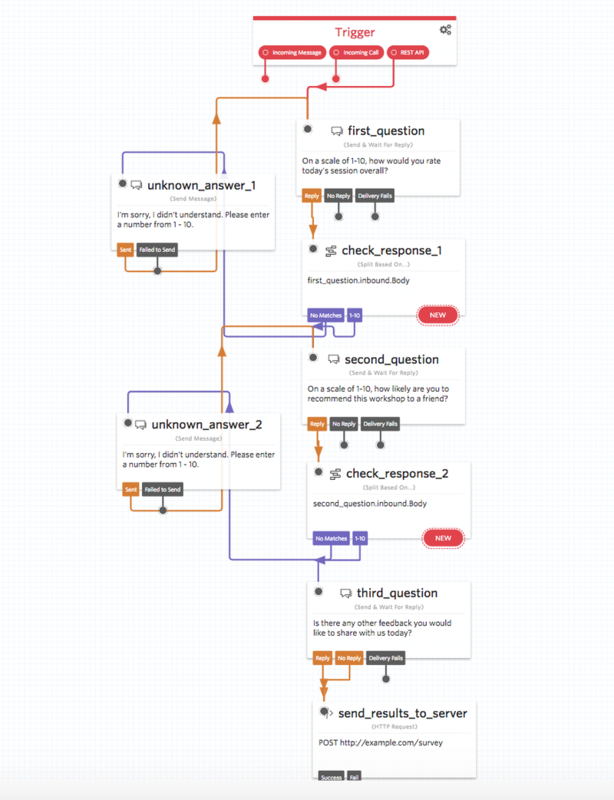 The final state of our canvas is that we have a Trigger widget that receives an incoming REST API request, then sets of Send & Wait For Reply, Split Based On..., and Send Message widgets to prompt the user with questions and evaluate their responses for format. 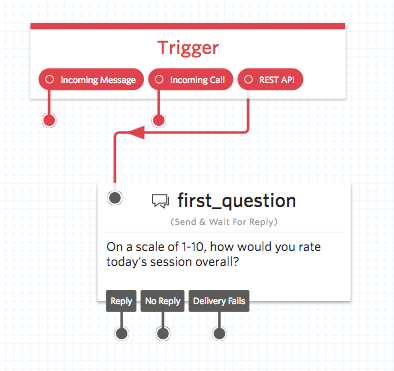 Finally, an HTTP Request widget allows us to send the survey responses back to our servers.